GA-DE Cosmetics is a new brand for me. 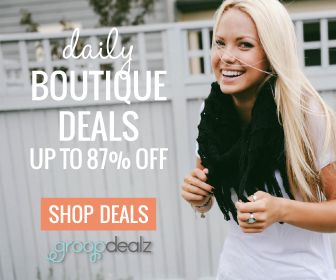 I found out that it offers a full range of high quality yet affordable color cosmetics, nail products, skincare products and fragrances. 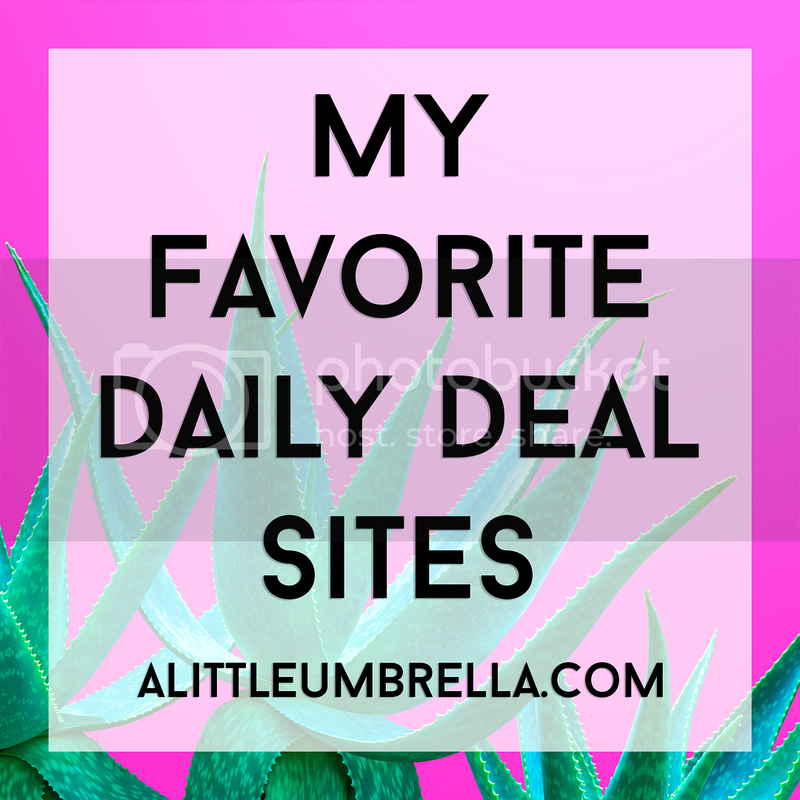 I was sent a few products from GA-DE Cosmetics to try! 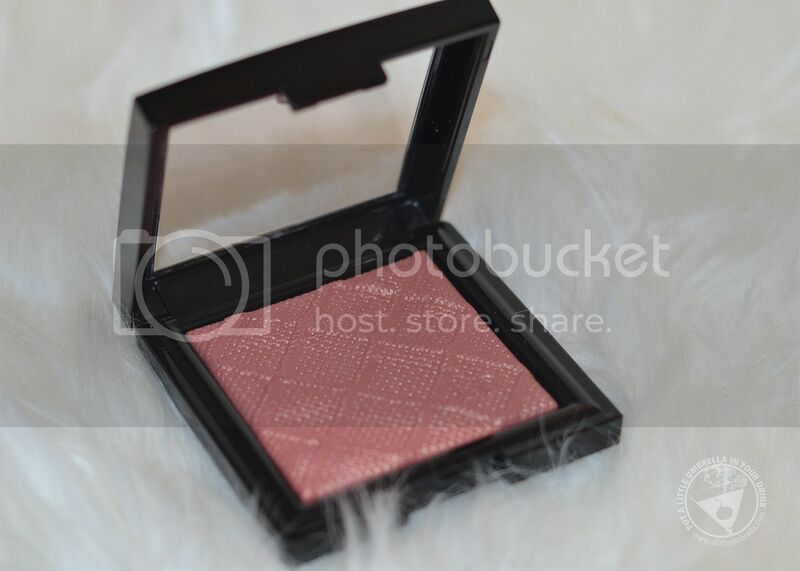 My favorite product was definitely the Crystallic Luminous Silky Blush in the shade Jewel Blush. The silky shimmery formula is stunning. This glamorous collection of luminous blush shades offer pure color with a satin veil touch, and prismatic shine. How beautiful is that embossed woven lace motif? The packaging is perfect. This collection offers four sophisticated, stylish rose shades for cheeks. 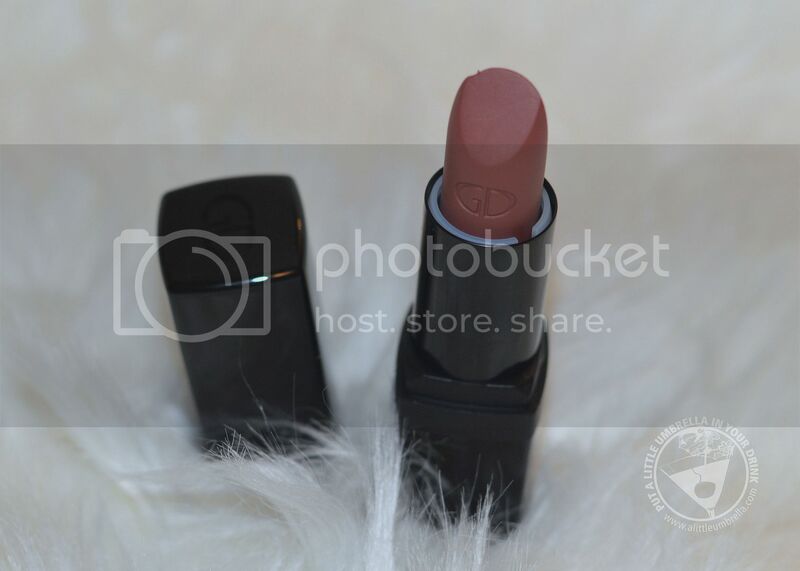 I also received True Color Satin Lipstick in Papaya Sorbet. 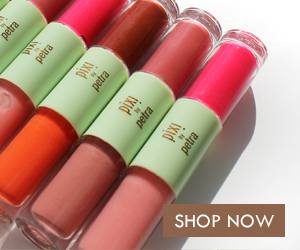 This lipstick range offers caressing colors with high shine and extreme comfort. The innovative gel-based formulation features advanced shiny polymers for luminous shine with rich dimension. Enriched with nourishing hop extract, a natural plumping active, the satin texture glides on easily, providing smooth moisture. I love this shade. Next is the second product I loved from my samples. It is the Crystal Lights Lip Gloss in Sunstone. 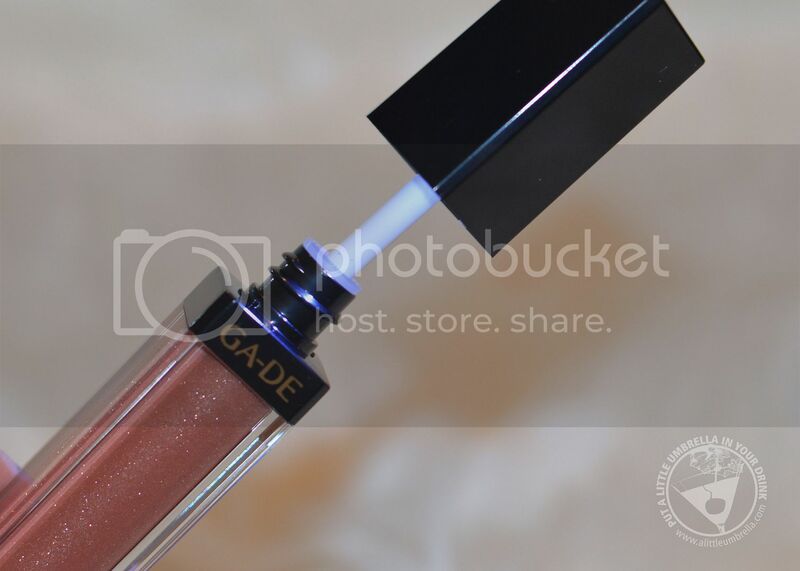 Beautiful shimmery lip gloss in a light-up tube with a mirror. What more could a girl want? This smooth and silky lip gloss is enriched with light-reflecting, high-shine crystal pearls. It features innovative and luxurious packaging with a built-in mirror and a light that turns on when you open the tube! Love it! 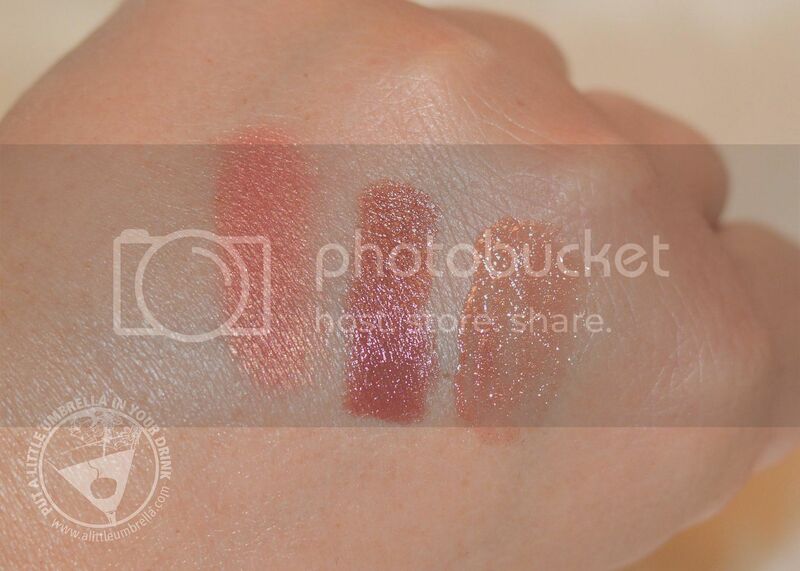 From left to right above: Crystallic Luminous Silky Blush in Jewel Blush, True Color Satin Lipstick in Papaya Sorbet, and Crystal Lights Lip Gloss in Sunstone. What a stunning palette! 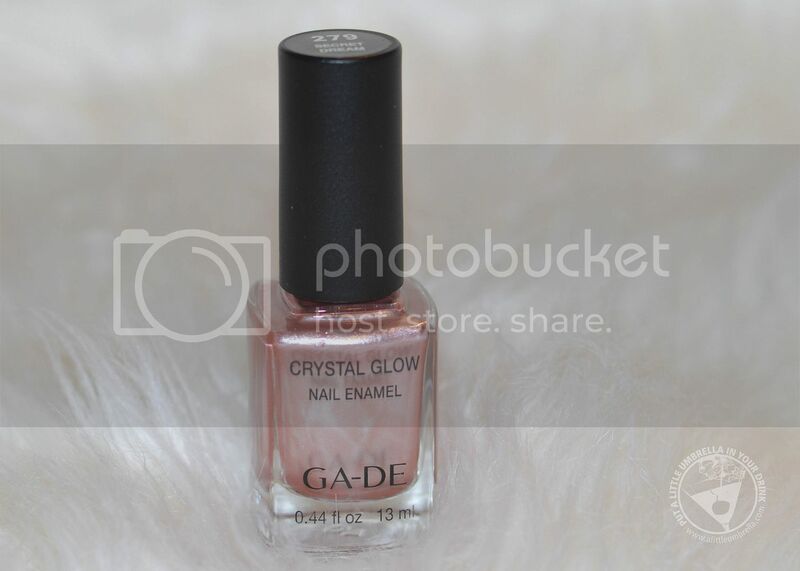 I also received Crystal Glow Nail Enamel in Secret Dream. This exclusive high-pigmented formula strengthens nails as it delivers high-shine color and an easy application. It comes in classic and trend-defining shades in range of effects: crème, pearl and metal. What do you think of GA-DE Cosmetics? 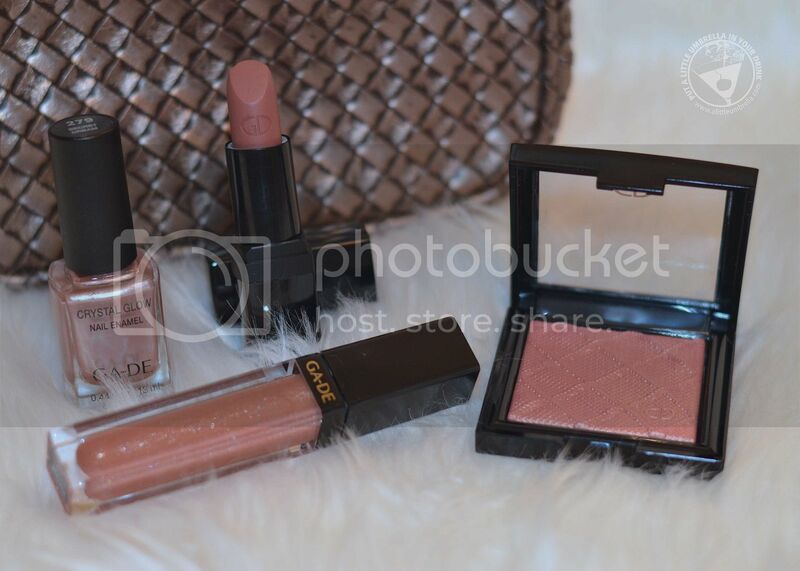 Connect :: Visit gadecosmetics.com for more information on their full range of high quality and affordable cosmetics. 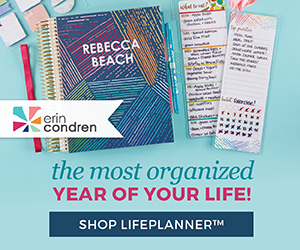 Connect with GA-DE Cosmetics on Facebook.